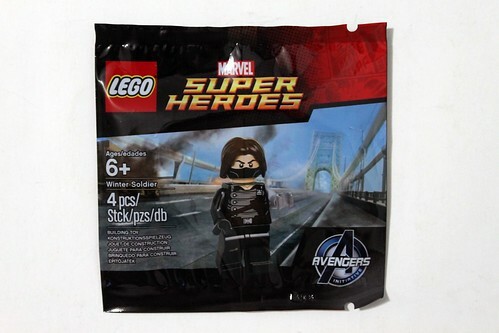 For the month of June with purchases of $75 or more, you can get a FREE promotional exclusive LEGO Marvel Super Heroes Winter Soldier (5002943) minifigure polybag at LEGO Stores and on [email protected] . 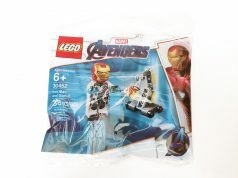 We finally get our chance to get this minifigure as some parts of the world already got their promos like in the UK a few months ago with a purchase of the SHIELD Helicarrier (76042). 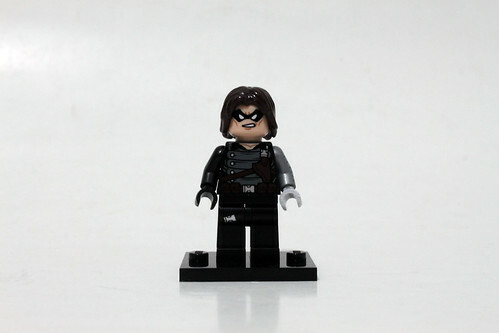 Many people have been waiting a while for this particular minifigure because there were no sets produced based on Captain America: The Winter Soldier. 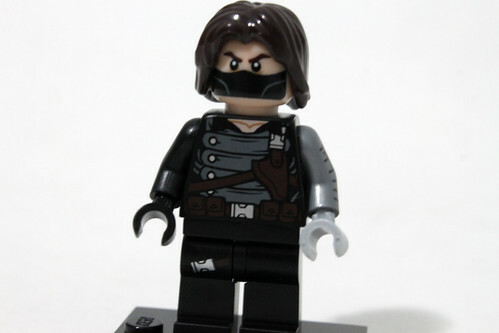 His outfit is obviously based on the Bucky Barnes’ character from the movie. 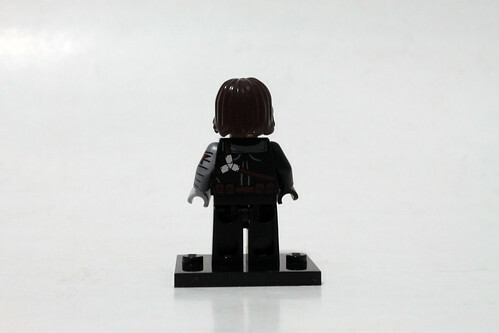 He has some very nice printing all around the minifigure’s torso and on the legs. 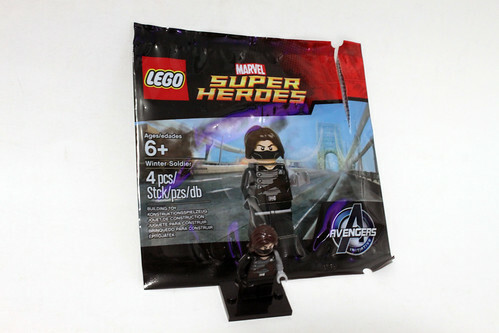 The front of the torso shows of his armor piece as well as a brown knife sheath and utility belt. The back shows the other side of the sheath holster and belt. The left arm is one of the cooler features as it shows off his bionic arm. The legs have some nice side printing for his gun holster. 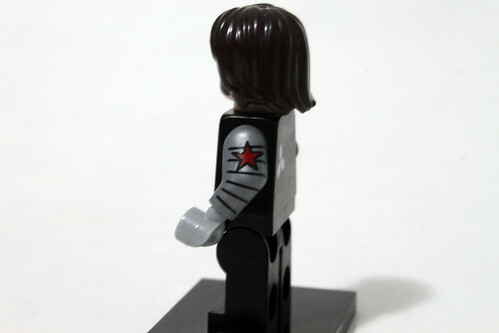 Another great feature of the Winter Soldier minifigure is that he has a double-sided head. One side has his mouth covered up with his mask. The other side has his eyes covered just like in the comics. 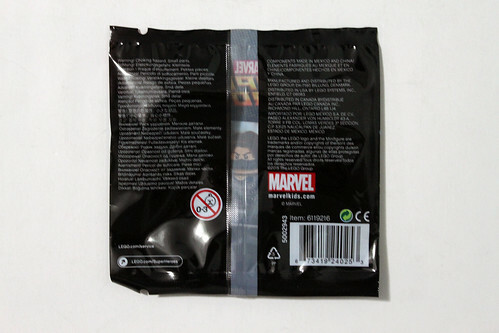 This feature gives both fans of the Marvel Cinematic Universe as well as of the comics a reason to get the minifigure. 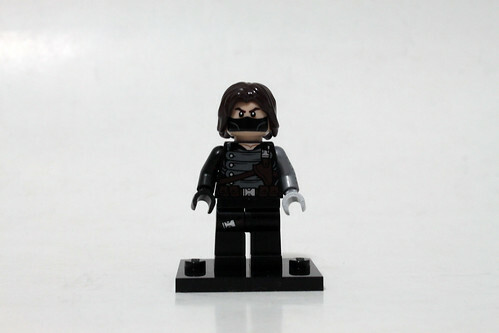 Overall, the LEGO Marvel Super Heroes Winter Soldier (5002943) is very cool minifigure if you have a chance to pick it up. Right now, the June promo is the only way to get him besides the secondary market or trading and whatnot. 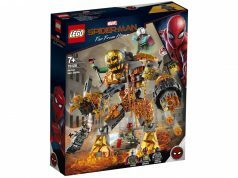 He probably won’t be showing up in another LEGO set for a long time. 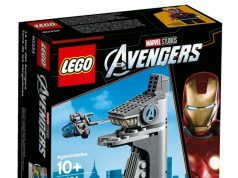 The next time we may see him again would be for Captain America: Civil War sets, if there are any sets produced for the movie next year but don’t hold your breath.